What is Lyophilization or Freeze Drying? Freeze drying fruits and vegetables involves removing all of their water content while they are frozen and then adjusting the pressure of the Feeze dryer to completely dry the food. The Freeze Dried versions have several nutritional benefits. Freeze Dried fruits and vegetables can be a quick and convenient way to eat plenty of produce and get many different vitamins and minerals throughout the year. Freeze Dried fruits and vegetables are very light and are easy to transport. Many backpackers and hikers rely on Freeze Dried fruits and vegetables for a quick energy boost. They are easy to eat, and freeze drying makes them smaller than their whole form, which allows travelers to pack several pouches at one time. Freeze Dried fruits and vegetables are also convenient ways to supplement meals, and they make healthy snacks for on the go as well. 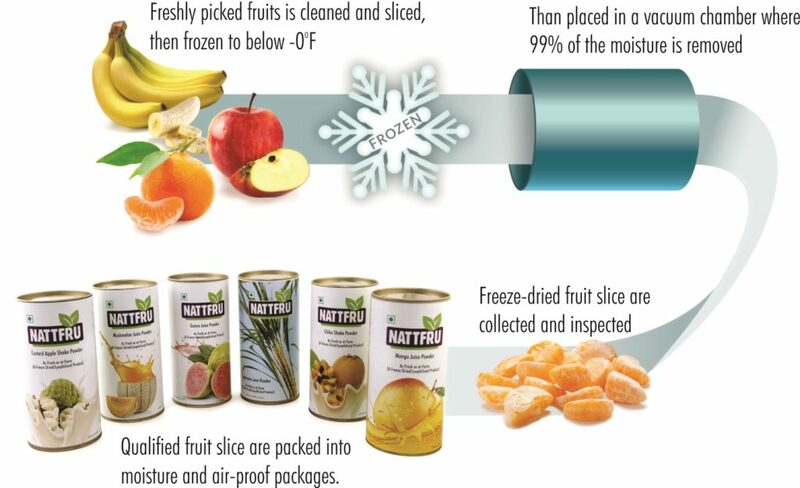 Another benefit to Freeze Dried fruits and vegetables is that they last for a long period of time without going stale. Hikers and backpackers rely on Freeze Dried fruits and vegetables when they are on trips that last longer than a day because they provide access to the nutrients in produce without worrying about fresh versions going bad. Freeze Dried fruits and vegetables can be stored in large amounts in cities or towns that are susceptible to hurricanes, floods or tornadoes to ensure that residents have access to nutritious foods during the recovery phase. They can also be sent to areas devastated by natural disasters as a way to offer assistance. Fresh fruits and vegetables contain a vast array of essential vitamins and minerals, and portions of these nutrients are not lost in the freeze-drying process. Freeze Dried produce is also low in calories. Many Freeze Dried versions of your favorite fruits and vegetables are high in vitamin C, such as bell peppers, which contain almost 31 mg of this nutrient. Freeze Dried fruits and vegetables also supply a healthy amount of Fiber, Beta-carotene and Potassium.